Susan Misiorski is the Vice President of Workforce Innovations for PHI. In her role, Susan leads a team of trainers and consultants who coach long-term care providers to improve the living and working experience of elders, individuals with disabilities, and workers. In her tenure at PHI, Susan has worked with a wide range of clients in the for-profit and not-for-profit sectors. She has also provided technical assistance to states through the national Better Jobs Better Care demonstration project, and through working directly with state agencies to support fundamental change in long-term care organizations. Susan has been a leader in the Pioneer Network, a national organization whose sole purpose is to serve the culture change movement, since its inception in 1997. She regularly publishes on issues of importance to long-term care providers, with articles appearing in McKnight’s Long-Term Care, Long-Term Living, and Generations, as well as the recent collection Models and Pathways for Person-Centered Elder Care (Health Professions Press, 2014). Susan is a national speaker on topics related to long-term care culture change, and participated in the CMS satellite broadcast titled Innovations in Quality of Life. 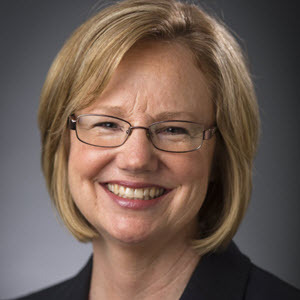 Prior to coming to PHI, Susan served as director of nursing for Genesis Health Care and then as vice president of nursing for Apple Health Care, Inc. where she spearheaded a corporate-wide culture change initiative. Susan received her BS in Nursing from the University of Connecticut.